E-Missions co-founder P.Leone returns to Radio Slave’s Rekids this September with ‘The My Lita Project’ backed with remixes from Mark Broom. 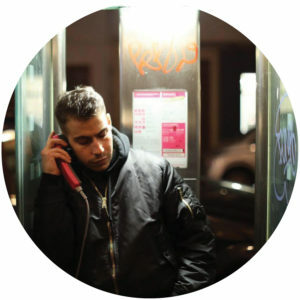 Originally hailing from New York, P.Leone now resides in Berlin where he helms his E-Missions imprint with releases from himself and co-founder Caiazzo, exciting new artists like Rush Plus and Tred, not to mention remixes from Young Male, Spencer Parker and Lawrence Lee. Leone has also dropped a variety of releases on Rekids and Work Them Records, when not making regular appearances at clubs like Tresorand ://about blank. He now returns to Radio Slave’s respected imprint with ‘The My Lita Project’, following up his highly lauded ‘El Dorado’ EP that garnered support from Ben Sims, Jackmaster and Spencer Parker. ‘My Lita’ kicks things off with classic synths, piercing strings and choppy vocals slices whilst robust drums march forward. Meanwhile, ‘Tight In The Pocket’ is more dark and menacing in comparison with its syncopated percussion, echoing claps and ethereal atmospherics. On the flip, Mark Broom drops two different remixes of ‘My Lita’; the first is a robust cut complete with disco elements like funky guitar licks and soulful voice, with the original’s stabs shining throughout, whilst the second remix takes a different route with its crunchy snares, moaning murmurs and fuzzy effects.